Authorities have studied the set-up of economic crime fighting institutions in the United Kingdom and Italy to see whether the models can be replicated in Malta. 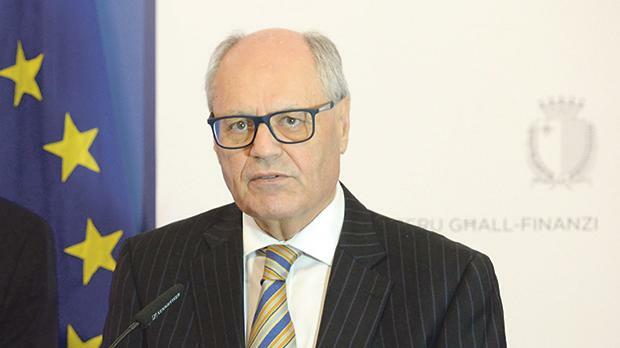 “At the moment we have stand-alone institutions [such as the Financial Intelligence Analysis Unit],” Finance Minister Edward Scicluna said. “We have looked at the UK and discussed with the officials there since they have a different set-up. Italy have got the Guardia di Finanze, for instance,” Prof. Scicluna said. “We are looking at the whole institutional set-up for fighting economic crime. “If there are changes which are required or new institutions which need to be set up, we will consider them,” he added. The Finance Minister was speaking following reports by The Sunday Times of Malta that the country’s anti-money laundering regime received a poor grade in a draft Moneyval evaluation. The Committee of Experts on the Evaluation of Anti-Money Laundering Measures and the Financing of Terrorism, known as Moneyval for short, failed Malta in its interim draft evaluation of the country’s action in complying with rigid legislation. The Finance Minister said authorities such as Moneyval and the European Banking Authority were pleased with the way Maltese authorities handled “scandals”. “In the case of Satabank, for Moneyval and the EBA it was good that we caught them and took action. They are not going to be scandalised because it happened,” he said. Billions of euros in suspicious transactions through Satabank created concerns that led to 12,000 accounts being frozen by the Malta Financial Services Authority. “The fact we took action will put us in their good books,” he said. Foreign institutions, he insisted, wanted to see that local institutions were working. “They are asking: where is the beef,” Prof. Scicluna said. He played down concerns about the Moneyval score, insisting that “rather than looking at the score”, one had to look at the progress made in strengthening institutions. However, he admitted, there were “areas where we have to show more effectiveness”. Some institutions, such as the Customs Department, were “giving a good show”, he said, but others not. Asked whether he was concerned that Malta would be able to push up its score before the summer deadline, Prof. Scicluna said he could not answer the question. “I can’t reply to that question because it depends on Moneyval, but one has to look at things as a whole,” he said.